Rounderbum® introduces the most innovative technology in men's shapewear. 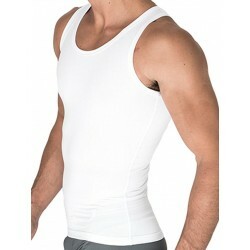 Seamless compression T-Shirt that provides back support and definition to the muscles. 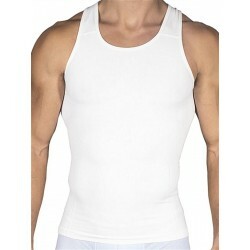 Its detailed design and construction help pull back the shoulders, straighten the back and slim down the waist. Our patented technology tightens the body and makes it look slimmer. Rounderbum® cutting-edge design is undetectable under all clothing. Attention: Please note that most of the items sizes may run small.